“1. In order to encourage inner City shopping, reduce the parking burden and associated costs, and to promote healthy living, we need safe, practical and efficient transport alternatives to cars. 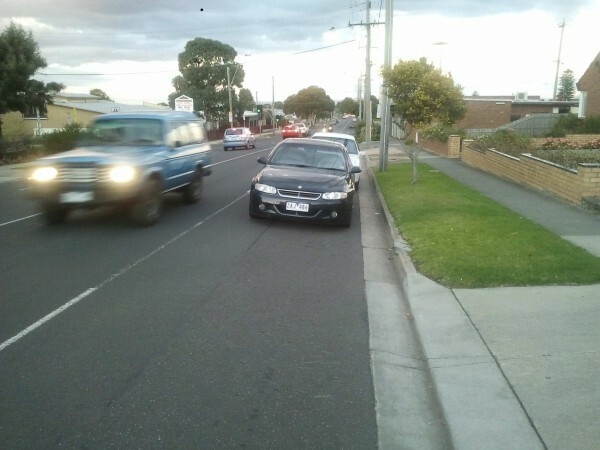 Bikes are a tremendous mode of transport, however, unfortunately in Geelong our bike path network is not effective or appropriate for our needs. While BUG people have passionately believed this for ever, it is pleasing when members of local Gov. recognize the benefits of riding and our bike path short comings. An example of un-safe 'bike' lanes near Clonard High School - Church St, Herne Hill.